Intensive gardening is now fully mainstream. Sure, you may still see the occasional backyard single row garden… but they’re nowhere near as ubiquitous as they used to be. 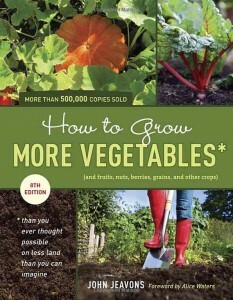 Most home gardening is now intensive gardening, whether the gardener knows it or not. Square foot gardening, container gardening, biointensive gardening – all are methods of packing as much production into as small a space as possible. What’s the first thing most new gardeners do when they decide to create their very first plot of veggies in the back 40? Today I’m going to take a look at the pros and cons of intensive gardening. It may be the dominant method right now… but there are likely as many reasons to skip it as there are to embrace it. More food – less space. That’s hard to argue with! With a well-planned intensive garden, you can maximize your yields with minimum materials. 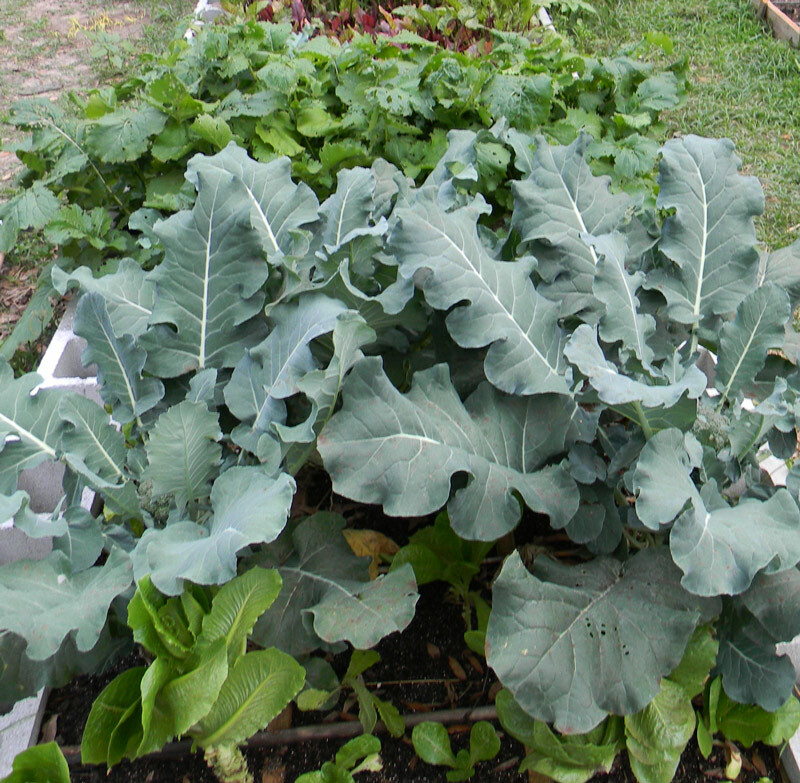 Unlike a single row garden that takes up lots of space, you can plant vegetables tightly in a little square foot garden bed or a horse trough converted into a raised bed. You can also pack high fertility into a small space by stacking up lots of nutrition rather than trying to spread compost over a large area like you would with a traditional garden. When you have a small backyard, why would you bother with a great big row garden when you can grow your peppers, sweet corn and bush beans in a lot less space? I’ve used varying combinations of Mel Bartholomew’s Square Foot Gardening and John Jeavons’ methods from Grow More Vegetables in my intensive beds and have had quite good success. 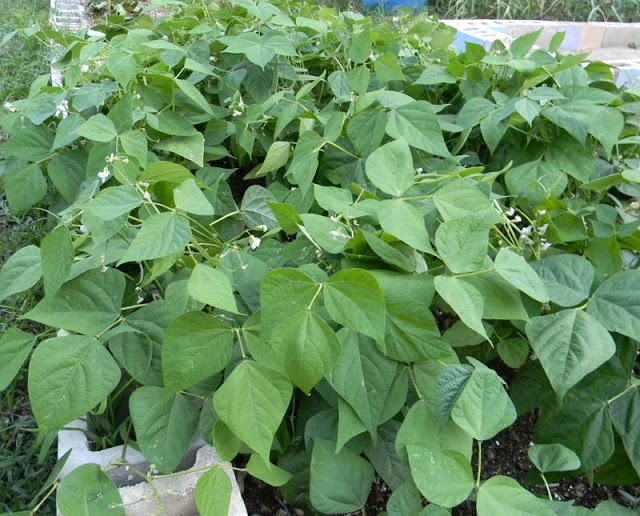 There’s an excellent article from Mother Earth News that takes the same tack, explaining the great results that came from the author’s experimentation with combining both popular intensive gardening methods. Another benefit of intensive gardening is that it’s usually based on permanent beds you can protect from compaction easier than you can a big row garden which requires walking between the rows in order to weed, maintain and harvest. Intensive gardening lets you grow a lot of food in a perfect small space – what’s not to love? We have this idea that raised beds are pretty much the only way to garden at this point. Yet there are notable benefits to ditching intensive gardening for wider rows and in-ground non-raised plots. 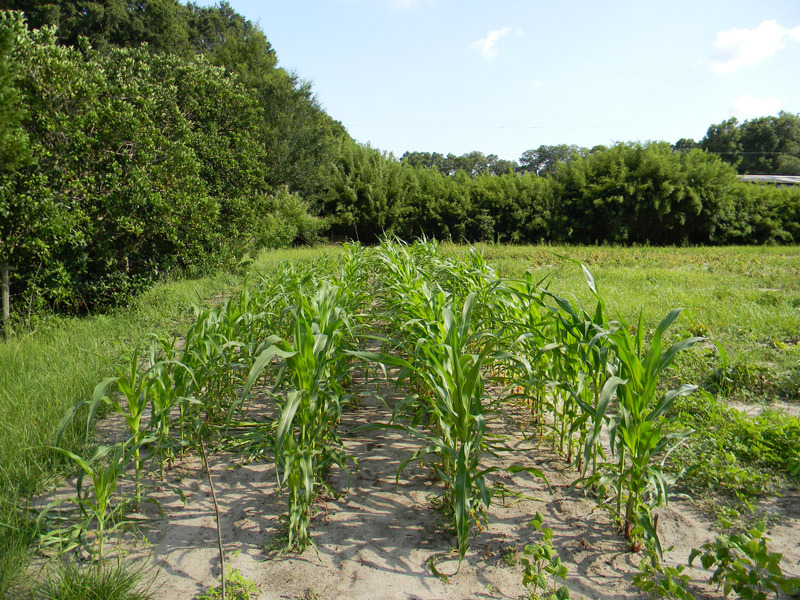 A couple of years ago I grew a good-sized plot of corn that was watered by rainfall. See that sandy soil? If I had planted my corn at intensive garden spacing, I would have had to water a few times a week – at least! 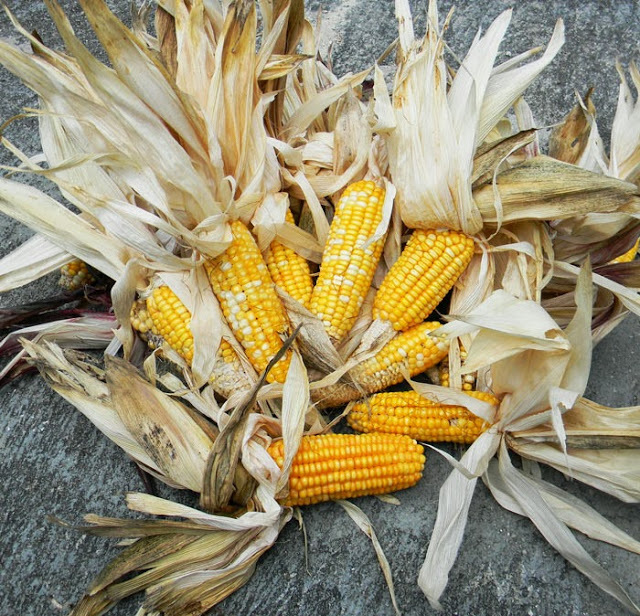 I got a nice harvest of grain corn from that widely spaced row garden because of how much room the corn roots had to search out water, even in sand. Our first square foot garden beds five years ago needed a lot of water compared to my corn. The spacing was very tight, as recommended in Mel Bartholomew’s book, so the roots ran out of moisture rapidly. Water! Water! Water! When it got hot out, we were watering every day… and the plants were still looking thirsty. The yields on the space were great, though, so I can’t complain too much. It’s just this: if there was ever a sustained period where the city water shut off or your well quit working, you’d lose all your harvest for that year. In a widely spaced garden, you’d likely still get some yields just because of the rainfall. There’s a reason the pioneers didn’t use tight little raised beds for their crops! Another “con” of intensive gardening is the method’s use of permanent beds. I don’t know about you, but I change my gardening arrangements all the time. I’ve had one area go from a huge patch of wildly seeded anarchy with straw paths to tight little wooden beds to cinder block beds, to rows of double-dug beds and a few perennial beds to its current mixed configuration with row of dwarf apple trees along one edge… all within five years. If you build perfect little beds and fill them with perfect soil, you’ve made a commitment. Intensive gardening in some spaces, row gardens in others, tight plots and spacious expanses of field crops… all have their place. It’s simply a question of your preferences, your resources and your climate. 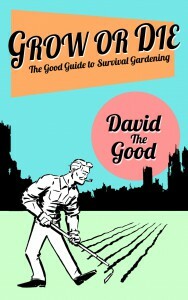 I cover various intensive and non-intensive gardening methods in-depth in my new book Grow or Die: The Good Guide to Survival Gardening. Everything from square foot gardening to growing without irrigation is in there, so if you’re trying to pick a gardening method for spring, I highly recommend you pick up a copy and get reading. It’s only $2.99 for the kindle version. The audio book version is only $13.08 (and it’s read by me). Either option is a lot cheaper than making even one raised bed. And yes, the paperback version is on its way. The publisher is shooting to have it done by early March. When everyone is doing something, it might be a good time to ask “why.” Intensive gardening has its appeal but isn’t a perfect method. My bet is that its evolution is directly linked to our current level of civilization and high energy usage. If there’s a breakdown in our complex world, wide, single-row gardening is likely to come back with a vengeance as we turn to the heavens for our rainfall, rather than a faucet. Grown with rainfall, not soaker hoses! It really is fun to try both methods in the same year as I’ve done. If you’ve got a wide open patch of lawn, why not put in some widely spaced rows of beans or corn and care for the plot with a wheel hoe? It’s like going back in time… and the yields may surprise you. Give it a go with multiple methods and see if you observe the same pros and cons of intensive gardening that I have. A film of light oil on top of the water will stop mosquitoes. Try cooking oil, it’s not toxic. I don’t know if I should be honored or horrified. That the wise latrina got a free ride to Princeton while not even being in the top 20% of her high school class is the best explanation of affirmative action out there. One thing I dislike about my current intensive plot, it is too big. Once everything gets up and growing, there is hardly any space left for me to get in and harvest or pull weeds. Raised beds almost have to be very narrow, so you can reach everything from the edge.